An arthroscopy is not a highly invasive procedure. The procedure allows the surgeon to inspect the interior of your ankle by using a camera inserted through small cuts to the ankle area. The surgeon is able to identify problems like damage to the joint surface or ligaments and arthritis. 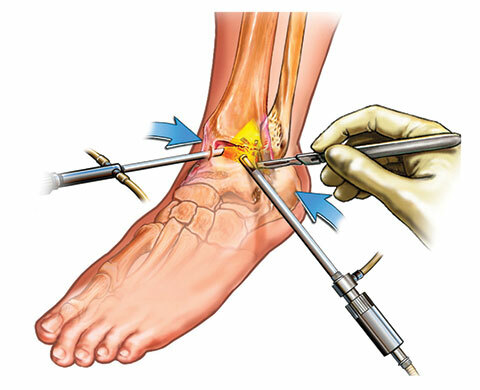 By using an arthroscopy your surgeon is able to diagnose and treat common complaints in relation to the ankle. The operation only requires a small incision, reducing the pain you may feel, and post operation the recovery time is reduced. An MRI scan can show any problems within the ankle. However, should you require surgery, it is probable that an arthroscopy procedure would be used. A variety of anaesthetic techniques are possible. 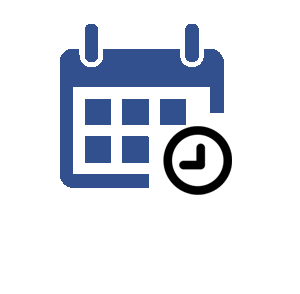 The operation is usually completed within forty five minutes. A camera is inserted by the surgeon into small cuts made around the ankle area. Loose fragments of bone and tissue caused by wear to the surface of the ankle joint can be removed by the surgeon. Swelling to the lining of the ankle joint can also be removed. If you have torn your ankle ligaments, reconstruction surgery may be required. You will probably go home on the same day as the operation. Expect the ankle to be slightly swollen for a week or two. Initially you will experience some discomfort, especially whilst walking. Daily exercise will speed up your recovery. But before you start, check with your for advice. The majority of patients make a good recovery and can soon return to everyday life.